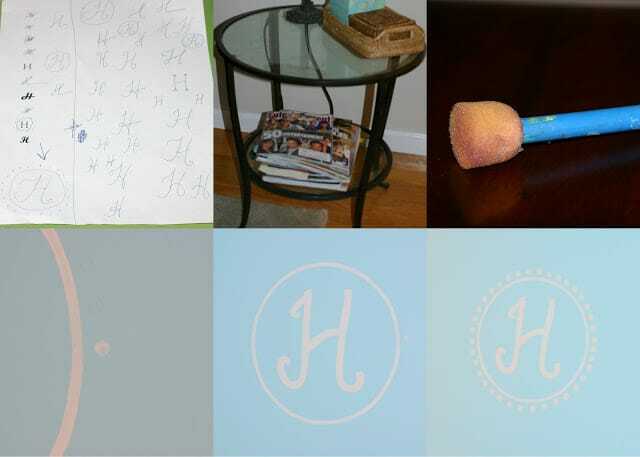 Forgive me, friends – I realize this is more information than most of you ever wanted to know about one room, but since a few of you lovelies inquired about the little projects that went into my daughter’s bedroom decor, I thought I’d share them all at once. Continuing on from yesterday, here are the rest of the projects that transformed Hannah’s new room into a “cool” and colorful oasis for her. It was fun, but whew!! I’m glad it’s done. I hope these provide some inspiration for easy projects you can do yourself! #8 – Patio table color change. Oh how I love spray paint. 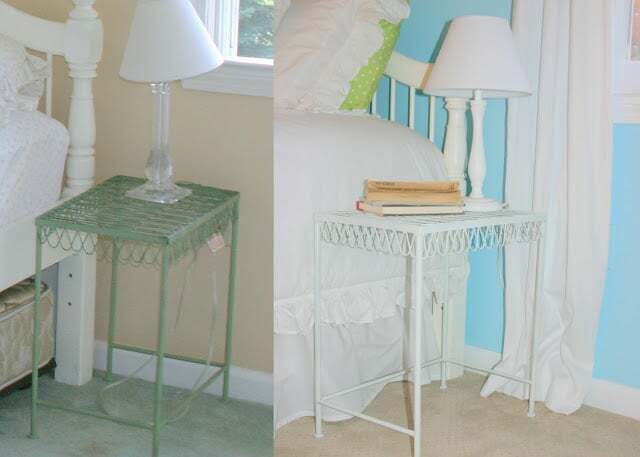 The original green of the table was pretty, but not right for the room, and I wanted to incorporate as much white as possible into accessories to balance the bright colors. 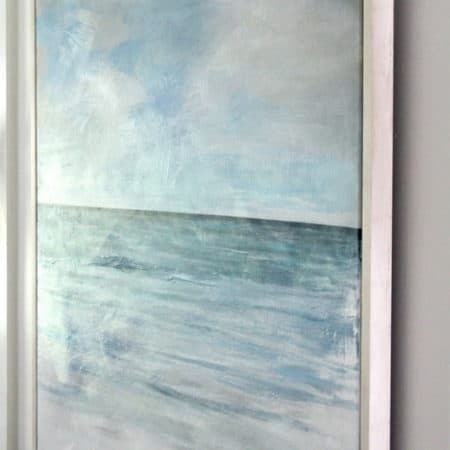 I love how feminine and light this piece is. Just keeping it real here – that photo on top is truly how my little darling keeps her room. The previous owners left us two amazing, huge masonite bulletin boards framed out beautifully. After searching for a fabric that we could agree upon to cover this board (remember the fabric that said “blah, blah, blah” all over it? ), we agreed to disagree and paint the whole kit and caboodle lime green instead. It took a few tries to get the right green for the room. I bought acrylic paint, poured it all over the board and used a mini-roller to apply. I then used ATG (like scrapbooking transfer tape that picture framers use) to attach grosgrain ribbon around the border for a little detail. The frame of the bulletin board was hung on studs as it is quite heavy. This throw pillow was the “inspiration piece” for the room, from PB on sale over the summer. The lime green polka dot sheets are from Bed, Bath & Beyond. To be perfectly honest this is my least favorite part of the room but it is an inexpensive way to cover 3 windows. I’m thinking that when Hannah is ready for a little change in a few years, I’ll remove the ribbon and add a border of colorful fabric to the bottom or inner edge. 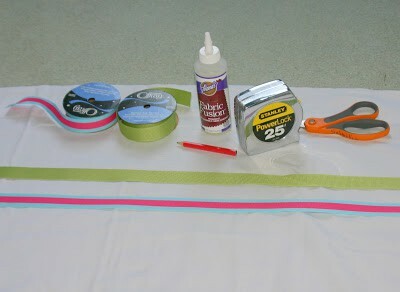 #12 – Ribbon banner for bulletin board. #13 – Harvest Moo handpainted name sign. I actually didn’t paint this sign but seeing as it provided one of the visions for the room, I thought it was noteworthy. This sign was made by my friend Amy of Harvest Moo for Hannah’s little girl room, and it fit the color scheme of this room perfectly! The polka dots on the sides were the inspiration for our final project……..
#14 – The handpainted initial over the bed. For this project I used whatever leftover white paint I could find in the garage. First I printed out a bunch of Hs in different fonts so Hannah could choose what style she liked. I practiced the H she liked several times, and then I just went to town drawing it in pencil on her wall. A pink eraser is a must when marking walls with pencil as it doesn’t leave behind a shiny mark. I drew and erased until we were happy with the scale and shape. I shopped the house for a circle to trace around the letter. I thought our huge stainless steel mixing bowl would do the trick, but it was too small, so believe it or not I took a piece of glass from the top of a side table (above), had one of the kids hold it tight against the wall and traced around it. Yeah. Wouldn’t recommend this method but I did get the perfect sized circle! I started painting the dots outside of the circle free hand, but it was difficult to get them to look uniform. I found this little sponge brush in my kids’ painting supplies and used it to go around the circle. I didn’t measure because I’m super lazy, which resulted in the last two dots being too close together, but it’s barely noticeable and I’m not a perfectionist about such things. Hannah loves this huge letter over her bed and I’m pretty darn happy with how it came out too. And by the way, if for some reason my Hannah wakes up with amnesia one day, I’m pretty sure she’ll be able to figure out who she is just by looking around her crazy colorful room – what do you think?? That’s a wrap, folks! I hope you enjoyed this series on Hannah’s new room and all the fun projects that went into it! Thanks for joining me here at Shine Your Light. I linked this post to this painting party! 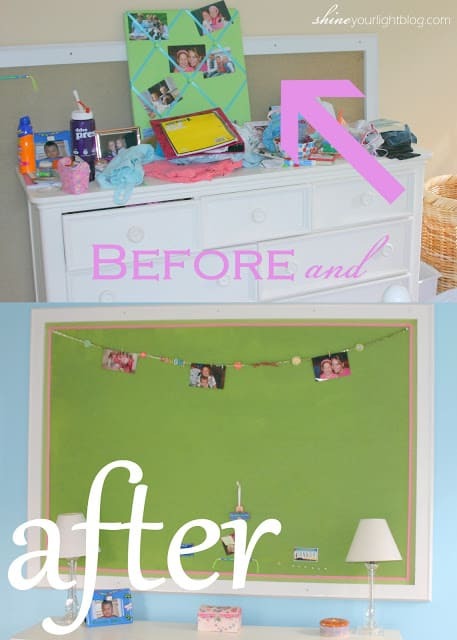 Oh my, your daughter's room is so cute! I love the creative touches like the big "H" on the wall, the curtains and the bulletin board…such great ideas that really personalize the room! It looks amazing!I love it all–especially the "H"!! Great job! I would be way to worried I'd mess it up! We're redoing my oldest's room for her 12th birthday in January. 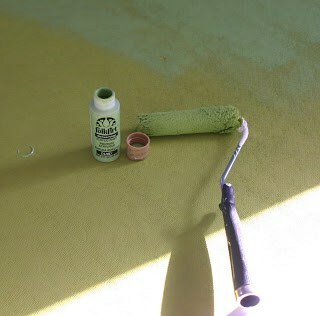 We can't change the rug, which is magenta, but the walls are being painted to match her curtains. 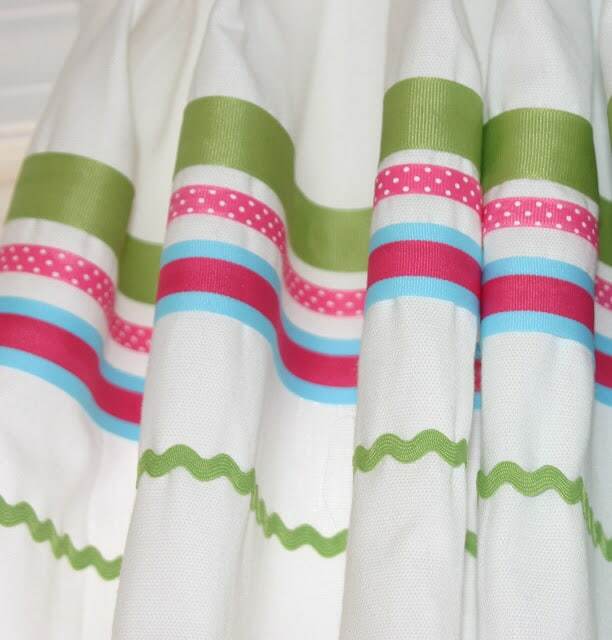 She's got 4 sheer panels from Linens & Things. They were SO cheap because I got them when they were going out of business. One is bright purple, one is lime green, one is bright blue and the last is lime green. Todd built her a fantastic lof bed a few years ago and she wanted it pink. It's now going to be black! I made her something for Christmas to go in the room. She really loves Butterfinger candy bars. I mean really loves them. I bought a bag of mini ones and peeled off the wrappers. I trimmed them and decoupaged them all over a wood tissue box cover (again, SO cheap) that I had painted blue. It's really cute and I think she'll love it. 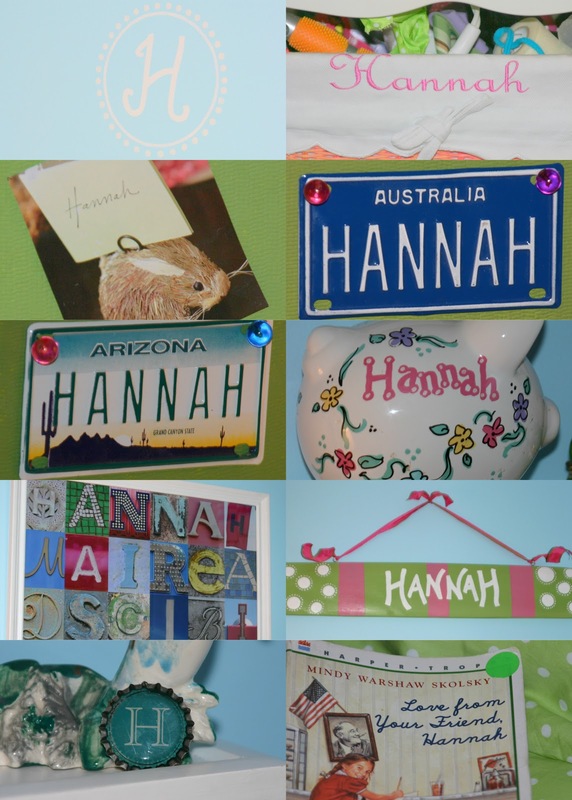 I forgot to add-thank you for the tutorial about getting the name collage pictured onto Picasa. I'm so frustrated to say that it didn't work! i've used Picasa for years and this has never happened! The letters I chose are in a folder along with all the other pictures I tool in the month of October. All the other pictures transfered but those didn't! I'd really like to put one in my daughter's room so I need help! If you're not too busy transforming your home, do you think we could get together so you can help me? Thank you! I really need to redo my youngest girl's bedroom. She wants a bulletin board so badly. I should try some of your ideas here. BTW – I bought a nice one for ~$200 from http://rv-parks.blogspot.com before this and it fits pretty well.